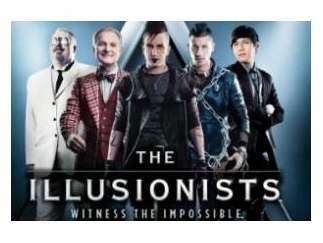 This mind-blowing spectacular marks the return of illusionists Yu Ho-Jin, Dan Sperry, Jeff Hobson and Adam Trent. Joining them for this engagement are James More, Raymond Crowe and Jonathan Goodwin. Illusions and cast members subject to change without notice.